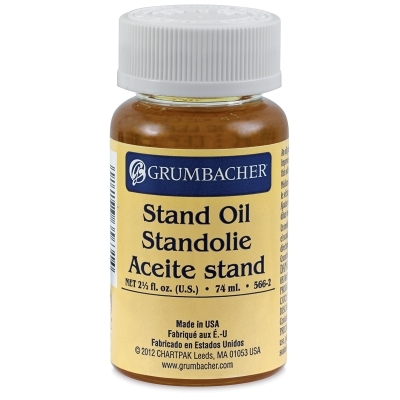 Grumbacher Stand Oil is a polymerized linseed oil with a thicker, molasses-like viscosity that offers better flow and leveling than regular linseed oil. It is made by heating pure linseed oil to high temperatures in the absence of air. Rich, smooth, and non-yellowing, Grumbacher Stand Oil makes oil colors more fluid and helps smooth out brushstrokes. A slow drying medium, it improves the flexibility of the final paint film. It may be diluted with any conventional oil painting solvent. 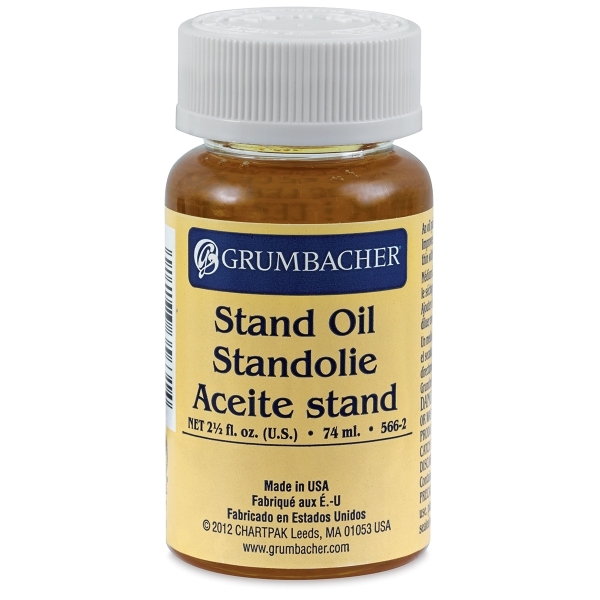 Grumbacher Stand Oil is made in the USA.